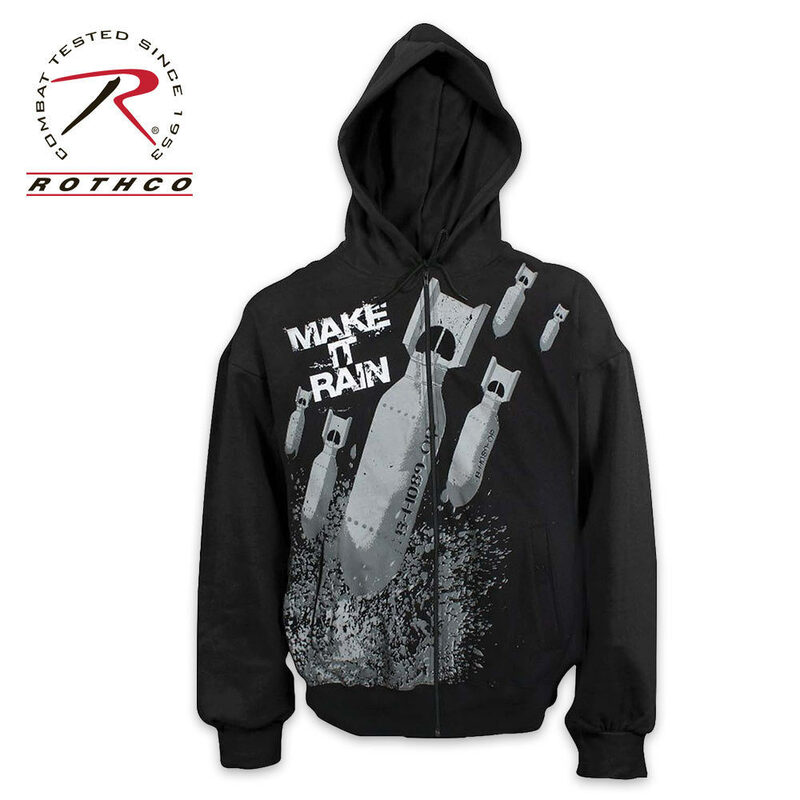 Vintage Make It Rain Zipper Sweatshirt | BUDK.com - Knives & Swords At The Lowest Prices! Add this vintage zippered sweatshirt to your closet! It comes complete with bomb designs from shoulder to shoulder.